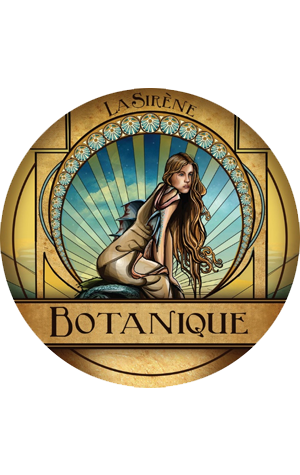 Considering how infrequently La Sirène beers used to appear on shelves and in bars in the first couple of years of the brewery's existence, the current flood of new releases is as unexpected as it is welcome. With their own brewery working overtime now and praise coming for their beers from all quarters, it feels like barely a week passes without head brewer Costa Nikias unveiling some new saison or farmhouse style beer. But, as he said when we bumped into him the other day, the creativity is coursing through his veins so why wouldn't you give it full rein? The next beer is one that will be available in draught form only and kickstarts what will be quarterly seasonal releases (in other words, genuinely seasonal). As the name hints at, they will all be beers with a botanical twist; Costa says he's always been a nut for aromas and had long been a fan of botanicals and their use in gin in particular before getting into beer in a big way. Thus, he's been spending many of his rare spare moments gathering botanicals from across Australia and overseas and playing around with infusing them with a new saison base beer, one he says is far removed from the original La Sirène Saison. For Botanique number one, he brewed the beer with rosewater and infused it with Mediterranean mastic and cinnamon sticks. The result, he tells us, is: "upfront rose aromatics paired with our trademark funk yeast characters. Flavours of rose and warming cinnamon dominate the palate" alongside the yeast-driven flavours before it all wraps up nice and dry.